An INS [India] submarine of the Kilo class [Russian] explodes and sinks to the bottom, WHILE AT BERTH! 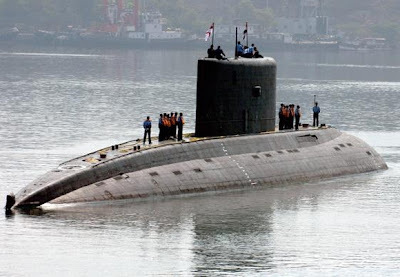 "Submarine INS Sindhurakshak sinks after blasts; shows sub-par naval abilities"
NOT only an initial explosion but secondary detonations occurring afterwards, the damage apparently catastrophic! AND one day after the indigenous built and first-of-a-kind INS nuclear submarine reactor goes CRITICAL! The Sindhurakshak ONLY just recently have undergone a comprehensive upgrade. Improvements having been made perhaps now of dubious value will be the thinking. The Kilo class [Russian] boat not new but a diesel/electric boat of considerable performance. "NEW DELHI/MUMBAI: India's worst naval accident in at least three decades that gutted and sank INS Sindhurakshak early morning on Wednesday remains unexplained"
"INS Sindhurakshak, a Russia-made Kilo class submarine first commissioned in 1997 and comprehensively upgraded last year"
From archival footage he INS Sindhurakshak during a better time. Eighteen men on board at the time of the disaster. I fear all hands lost, that combination of explosion/secondary explosion, smoke inhalation and submergence too much! "in addition to conventional torpedoes, it was armed with anti-ship Klub missiles. Multiple warheads on the boat appear to have been detonated during the incident, the navy chief said. 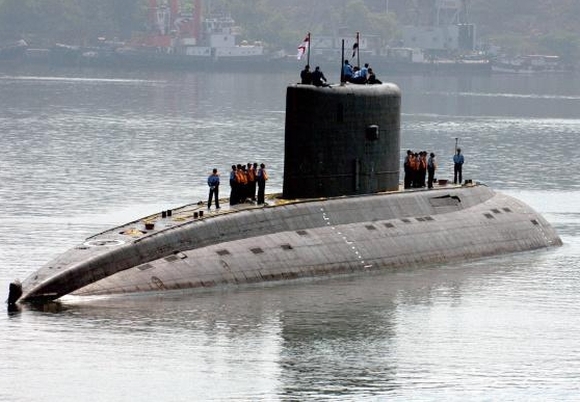 The incident came a day after Indian Navy announced that the reactor on board the nuclear-powered INS Arihant had gone critical." It remains a fact [?] 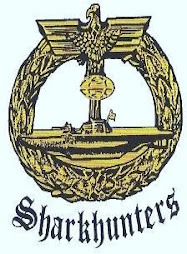 that there seems to be greater danger to these submarines while in port, docked or at berth, danger that exists during sea duty and operations not even as hazardous?